Maybe you don’t like how you smile with a missing tooth- we understand. For many years, Dr. Gabe Doria has been improving smiles of the residents of Bayonne, NJ in Hudson County. 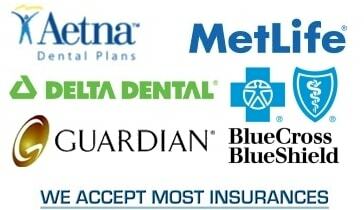 Dr. Gabe is a top rated dentist for Bayonne. He has many years of experience doing extremely delicate dental procedures including bridges and crowns to fix even the most challenging smiles. Dental bridges and crowns are just two of the many dental treatments that Dr. Gabe offers at his dental practice in Bayonne, NJ in Hudson County. He focuses on meeting the dental health and cosmetic dentistry needs of the patients. If you want to have bridges or crowns, we will be glad to help you transform your look and improve your natural smile. If you have lost your stunning natural smile due to dental problems, we are here to help you regain it. Dental crowns are also known as dental caps. They are usually placed over the existing teeth whose structures are no longer sound. Dental crowns provide an effective way of restoring the natural teeth instead of replacing them. You can use crowns and dental implants together. Crowns last longer with proper care and this makes them some of the best investments in dental treatment. A bridge is different from a crown because if fills the space left by a lost or missing tooth. It is anchored or bridged between the existing teeth. A bridge enables you to chew food with ease and without being worried about the sensitive area or gap. Words sound and flow naturally just like they used to when you had your natural teeth. Since chewing is usually the first stage of the digestion process, bridges are important for the overall health of a person who has lost teeth. They make chewing foods possible. Dental crowns on the other hand strengthen the damaged teeth. Both crowns and bridges are used to enhance the appearance of a tooth, alignment, shape and bite or dental occlusion. Gaps that the missing teeth leave can cause shifting of the remaining teeth. Eventually, this leads to a bad bite. Crowns and bridges help in preventing this shift from happening. Additionally, when you have missing teeth, communicating can be difficult. Dental bridges connect adjoining teeth enabling you to communicate the way you used to with your natural teeth in place. Do I need dental crowns or bridges? If you have a dental problem like a missing tooth or decayed tooth, you might consider having dental crowns or bridges. However, the best way to know whether crowns and bridges are ideal for you is by visiting an experienced dentist like Dr. Gabe Doria for a dental examination. Bridges are used to replace missing teeth. 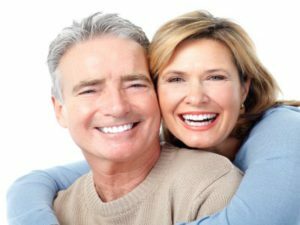 They provide a solution where dentures are uncomfortable, aesthetically displeasing or unstable. To find out whether you are an ideal candidate for dental crowns or bridges, visit Dr. Gabe Doria for a dental assessment. This dentist will guide you accordingly once you tell him what exactly you want to achieve from your dental procedure. After fitting, dental crowns and bridges should be taken care of by maintaining an effective and regular oral hygiene routine. Floss and brush 2 to 3 times per day. This helps in preventing decay at the joint of the tooth and the crown. Additionally, be careful when eating sticky foods like lollies and toffee. Avoid crunching ice, chewing pens and gnawing fingernails. Basically, your dentist will tell you how to take care of bridges and crowns after fitting them. Our Bayonne, NJ dental office has many years of delicate experience with bridges and crowns to restore your sparkling smile. We provide a completely customized treatment for both aesthetics and comfort dental crowns and bridges. To ensure quality, we take your mouth mold then use sophisticated dental technology, including software to come up with perfect bridges or crowns for you. Dr. Gabe and his team create bridges or crowns that meet your exact specifications. Quality is never compromised in any way. To ensure a realistic, perfect look, we match your crown or bridge with the exact shade of your existing teeth. For more information about bridges and crowns, contact us right away. Get in touch with us now to schedule your visit or to get answers to questions that you might have about bridges and crowns.